Penny Parker Klostermann was asked if there is a common thread or theme in her writing and she responded, "My agent says I have a tendency to write books about things getting eaten. "(Let's Get Busy Podcast). I found this funny because you might think I have a tendency to plan author birthday celebrations that include food. But, it's true. We love food! 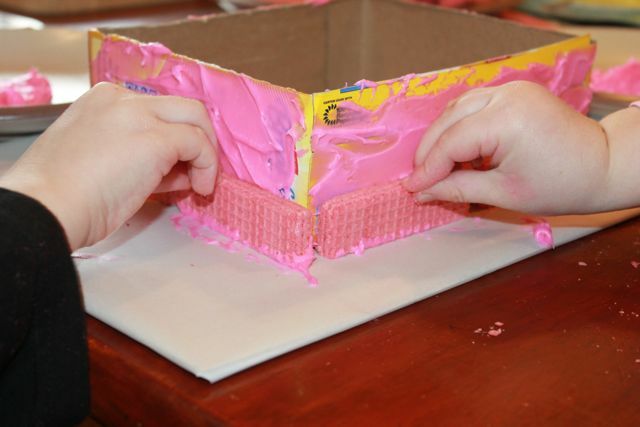 We love books and we love to eat while reading books! 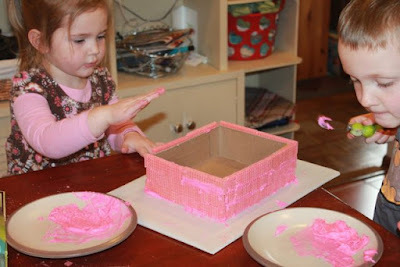 This week's birthday celebration is no different, we made something we could eat, but it was unlike anything we ever made before. 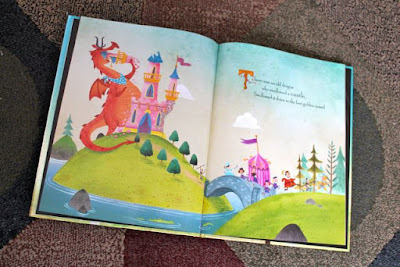 Last year, Penny Parker Klostermann debuted her first picture book, There Was an Old Dragon Who Swallowed a Knight, illustrated by Ben Mantle. Before writing for children, Penny was an elementary teacher for twenty-six years. Many of those years were spent as a physical education teacher where she often brought books and art into her gymnasium by creating games, activities, and decorations inspired by the books. (Path to Publication - Iza Trapani). In 2010, Penny's creativity continued after teaching when she took a job with a book distributor that required a lot of driving. As she drove, ideas for picture books would pop into her head. "I would record ideas or stories, or parts of stories in my iPhone. I would get home and write them down." (Let's Get Busy Podcast). She decided to "get serious" about writing and immersed herself in SCBWI and online writing groups and creative writing challenges. It didn't take long for Penny to experience success as a children's author. 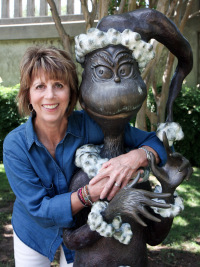 In early 2012, she submitted a manuscript, Mars Night Before Christmas, and was awarded the Runner-Up award for SCBWI's Barbara Karlin Grant. (12 x 12 Challenge). 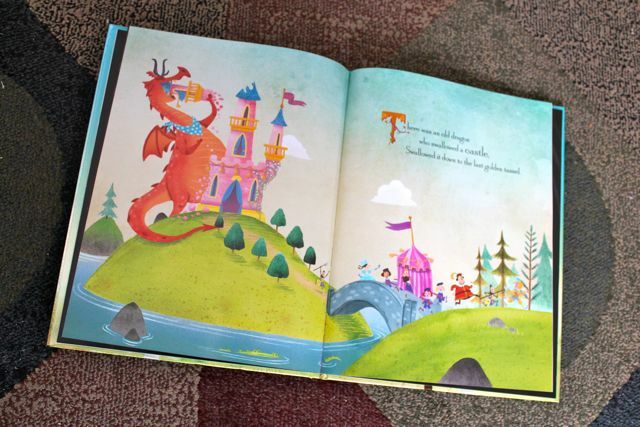 Also in 2012, she wrote the first draft of There Was an Old Dragon Who Swallowed a Knight. 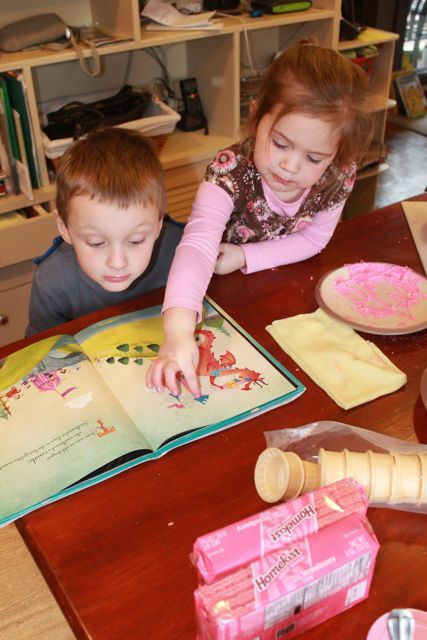 "I love cumulative tales...I had several ideas written in my 2011 PiBoIdMo list (Tara Lazar's Picture Book Idea Month), but hadn't attempted one. I started out with a different character but couldn't find enough exciting things for him to swallow. So I ran through a list Tara has on her website - 500+ THINGS KIDS LIKE. Dragons! 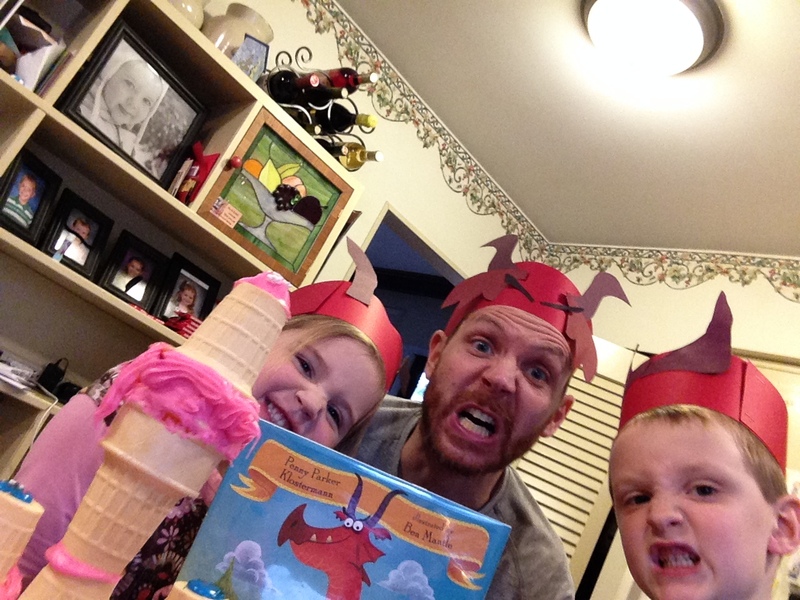 Kids like dragons! It fit the rhythm and I could think of all kinds of medieval fun! I was off and writing." (Today's Little Ditty). The manuscript sold in the fall of 2013. 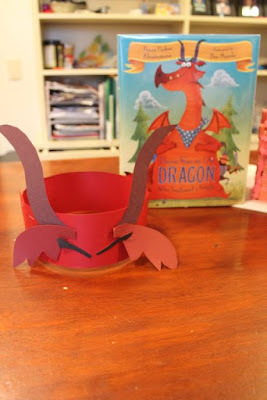 There Was an Old Dragon Who Swallowed a Knight has been a huge hit with young readers and their families. Klostermann took the familiar rhythm and structure from the There Was an Old Lady Who Swallowed a Fly rhyme and paired it with a hungry dragon, a knight who repeatedly says "It's not polite," and two giant dragon burps. (The book is so much fun to read!) It won the 2015 Best in Rhyme Award at the Rhyming Picture Book Revolution Conference and the Florida Sunshine State Young Readers Jr. Award by Florida Association for Media in Education. Look for Penny's next book, A Cooked Up Fairy Tale, in the Spring/Summer of 2017. The first time I sat down with my children to read There Was an Old Dragon Who Swallowed a Knight I read the line, "There was an old dragon who swallowed a castle, swallowed it down to the last golden tassel." 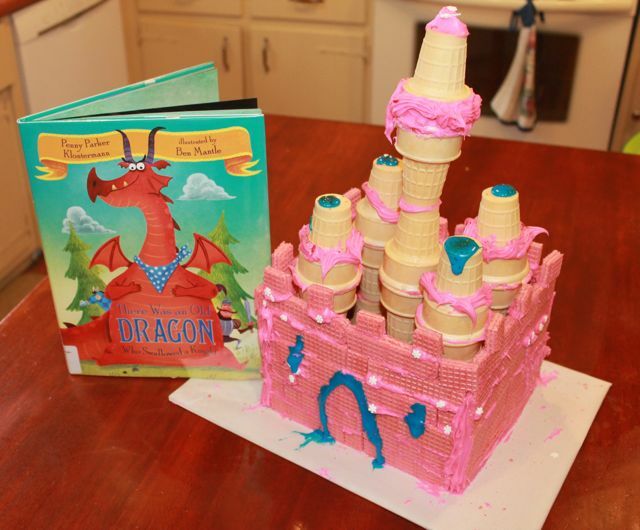 This gave me yet another idea for family food and reading activity! Could we make a castle that we could eat just like the dragon? 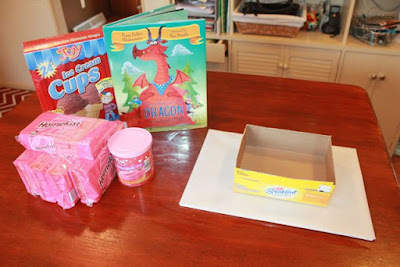 I prepared all the supplies when my youngest two children were at school. 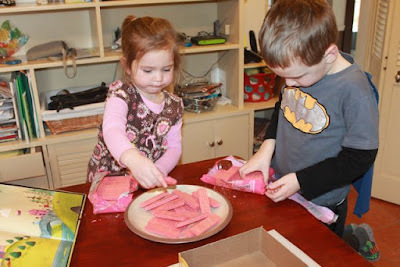 After lunch, we unwrapped two packages of strawberry wafers. 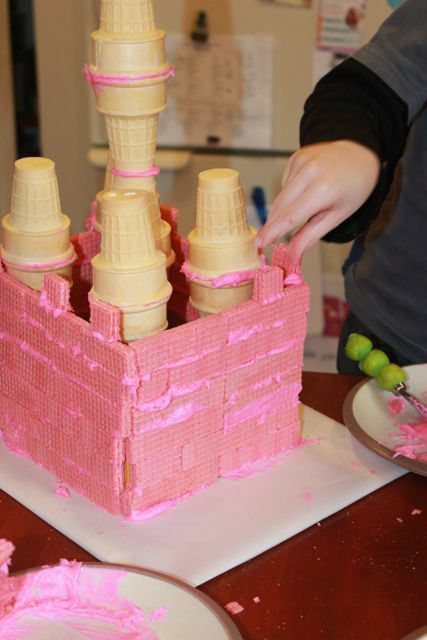 These would be the bricks we would use to build our castle. 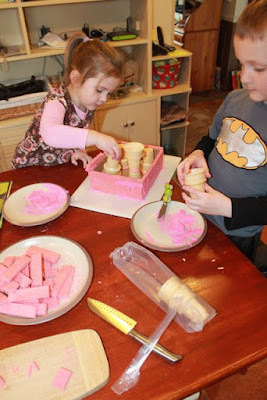 We used pink frosting as our mortar and started building our castle around a cardboard box. 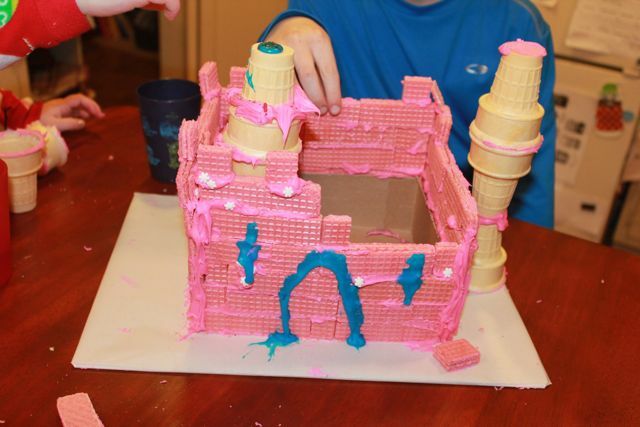 This cardboard box provided a strong foundation for the rest of our castle. 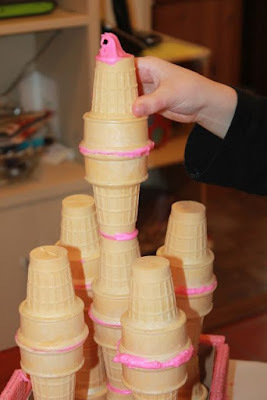 Ice cream cones were the perfect size and shape for the towers. The pink frosting held together each cone. We cut strawberry wafers into squares and added a few to the top of the wall. 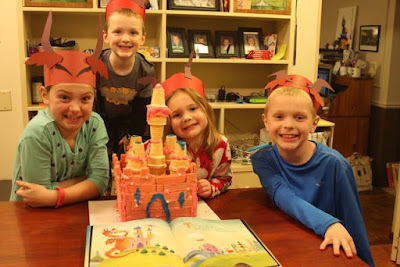 My children consulted the book to see what else they could add to castle. My daughter add blue frosting to the towers and my son added snowflake sprinkles that he thought looked like flowers. 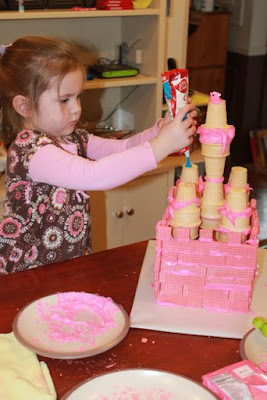 When I took this picture I realized we forgot to add a "golden tassel" to our castle! Whoops! Next, I thought we could make dragon-hats to wear. 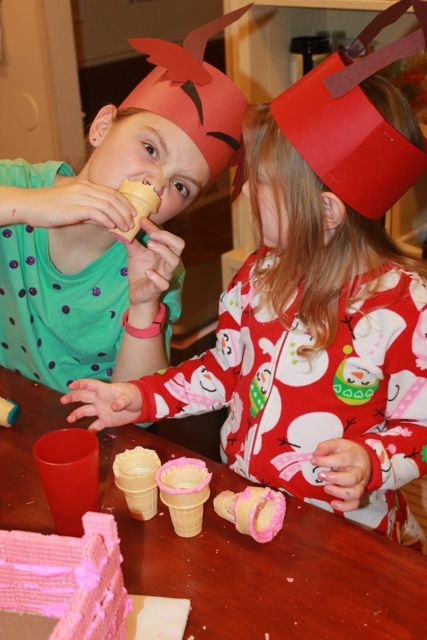 We cut out purple horns, small wings, and eyebrows and added them to a strip of red paper. We thought it was important to wait for the rest of the family to come home from school before we ate the castle. So, we practiced our dragon faces instead! Beware of this dragon! He can swallow whole towers at once! Run! Run while you can! These dragon-ladies look "shady"! The four dragons ate part of the wall too! Penny, our family hopes you have a wonderful birthday. 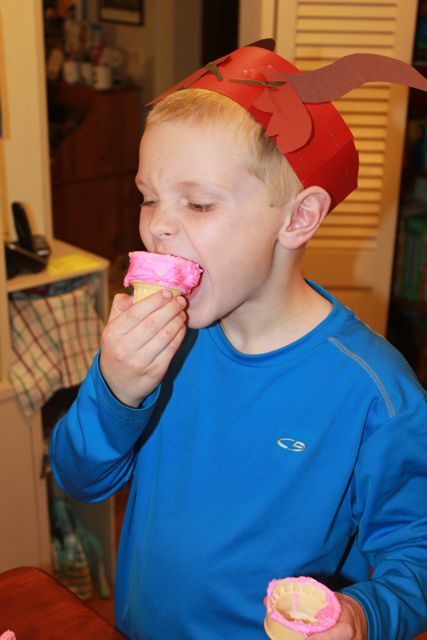 Enjoy some yummy treats! We love your new book and wish you more success in your next career as a children's author! 1. 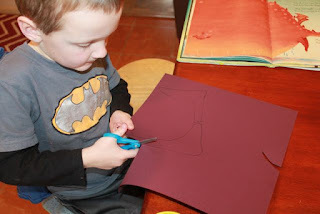 Penny Parker Klostermann's Website + Activity ideas and printables!